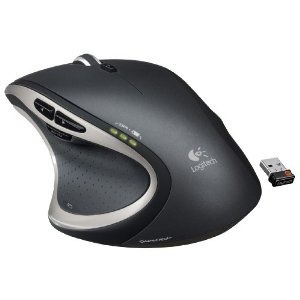 Logitech the leading manufacturer of accessories has release a new wireless mouse that changes what you expect a wireless mouse to do. The Logitech Performance MX is a mouse for a power user or gamer on the go. 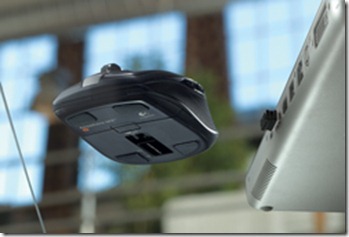 The mouse brings many features to a wireless mouse that you normally expect to see in a wired gaming mouse. I will go through both the pros and cons of the Performance MX mouse as well as if I think you should pick one up. When I decided to purchase a new wireless mouse I did not expect to find a wireless mouse that had many additional features other than wireless. One of the big features that Performance MX mouse has is the Darkfield sensor which allows you to use the mouse on virtually any surface including glass. This is very important for anyone who needs to use there mouse on something other then a desk. Since this is a wireless mouse most people will be using it away from a desk, this technology allows you to use the mouse anywhere from on a coffee table to on your lap. The Performance MX mouse uses a rechargeable battery instead of the standard AA which makes it so much easier to keep you mouse powered. You recharge the mouse with a standard USB cable so you can charge it right from your laptop without needing an outlet. There are more than the standard 2 buttons on this mouse you have several different buttons you can use. There are 4 buttons right around where your thumb is when using the mouse. There is a button where your thumb rests which will allow you to switch windows easily. You also have zoom, back, and forward buttons on the side which you can reach easily and use with Web Browsers and other applications. The last button is next to the scroll wheel which allows you to change how the scroll works either the scroll will move freely or not. This is just a matter of personal choice on how you like using the scroll wheel. There are a couple cons to this mouse first being is that it is more expensive than the standard wireless mouse. 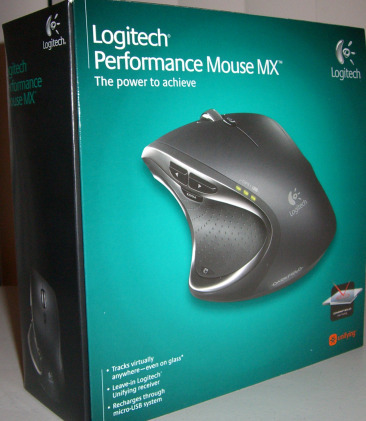 You can find the Performance MX mouse for around $75 dollars most wireless mice are around $50 dollars so you are paying extra money for this mouse. The next con of this mouse is that it is bigger most wireless mice now this is not necessarily a con it just depends on how big your hand is and if you can use the mouse comfortably. The last con of the mouse is that it uses the battery a little faster than a regular mouse on AA batteries but since the mouse is rechargeable this is not a big drawback. Overall after using this mouse for a couple months my recommendation is to buy it if you are looking for a powerful wireless mouse. Even though the price tag is a little high this features more than make up for it. The ability to use the mouse on any surface is a big plus and I think using the Performance MX mouse will make using a computer on the go much easier.